Thoughts, Feelings, Senses: Friends or Foes? Want to realise your big dreams? Mindfulness is simply the process of being aware of your experience in the present moment without judgement. That is not the way humans operate in a business as usual way. We all have a tendency to live either in the past or in our imagined future. We humans also have a mind that is constantly evaluating everything we experience the moment it occurs. For example, rather than just hear a sound we wonder what it is and may decide it should stop because it is annoying us. This thought process can lead to feeling stressed or irritable for example. Mindfulness is a process designed to refocus our attention into the current moment as it occurs, without the continual internal commentary that leads to feeling stressed, or at least takes us away from a potential moment of calm. So What is the point of Mindfulness for Me? Mindfulness allows us to be truly in the present to whatever is occurring rather than everything being filtered through our expectations, belief systems, or prior experience. We can then truly be present in our life for the positive moments. We can also be open to what our senses bring to our eyes, ears, skin , as well as our senses of smell and taste. This allows us to have moments of peace and calm rather than be constantly listening to the chatter in our head. Imagine if you could just sit and enjoy the type of scene shown in the photo below without a constant stream of thoughts and feelings that can take us away into our judgements about good or bad, right or wrong, or thoughts we should be somewhere else doing something else. Mindfulness allows us to just be with the present moment. Imagine for a moment that you are sitting by the water as it trickles softly. You are sitting on soft grass feeling the warm sun on your skin and listening to the birds. You can smell the trees and feel a cool breeze on your skin and see it rustling the trees. That is what mindfulness can allow you to do. You may stray into thoughts and feelings, but with practice you can return to the present moment and what you are sensing without judgement. Mindfulness can be applied to any place or activity not just natural settings like the one pictured above. You can mindfully drink your morning tea or coffee, or mindfully focusing on an important task that needs your concentration. So although mindfulness is often taught as a sitting meditation it need not be used in just that way. Mindfulness meditation began many centuries ago as a Buddhist meditational practice but since 1979 one man, Jon Kabat Zinn PhD, began to focus the attention of the west on Mindfulness through his Mindfulness Based Stress Reduction (MBSR) program in the USA. Since then over 20,000 people have used the program and mindfulness has grown exponentially in the last 10 years. One might say Mindfulness transcends culture, religion and philosophy as it speaks to how human minds operate and how we can achieve moments of peace and calm. Many mental health practitioners worldwide are now teaching clients the benefits of mindfulness. 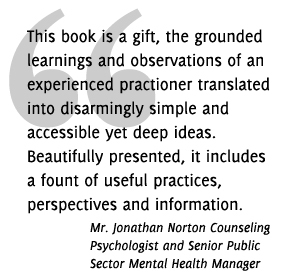 In Australia, for example, Dr Craig Hassed at Monash University has been teaching and writing on the benefits of mindfulness to reduce stress and anxiety. Also, organizations such as the Anxiety Recovery Centre (Victoria) provides group workshops to teach mindfulness. In fact one is due to start in September this year and runs over five weeks and is led by Dr Hassed. Also, mindfulness is found on the internet through websites such as those listed below. How do Grounding and Mindfulness compare? Good question. In my view the difference is that Mindfulness is a process of noticing and sitting with whatever arises including distressing experience. 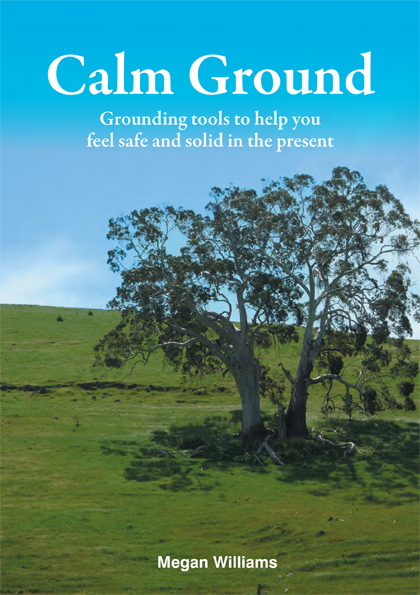 Whereas Grounding is an action done to help regulate and manage distressing emotions, thoughts or memories that can arise. Sometimes it is possible for a person to simply be mindful while at other times it may be necessary to Ground oneself to deal with an overwhelming emotion so both have a place in our lives. Being mindful as a process can also play a part in the action of Grounding in many cases. For example, you can be mindful of benign or comforting sensory experiences that can lower your distress or anxiety level. Also, because sitting meditation can be difficult for some people, Grounding using the senses in an activity such as going for a walk can provide a useful and calming alternative. 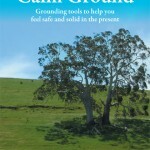 There is an example of Walking in a Grounded Way in my book Calm Ground which can be purchased through this website. I hope this very simplified explanation of Mindfulness peaks your interest. If so check out the resources listed below. Kabat-Zinn, Jon PhD (2005) Coming to Our Senses: Healing Ourselves and the World through Mindfulness. New York: Hyperion. 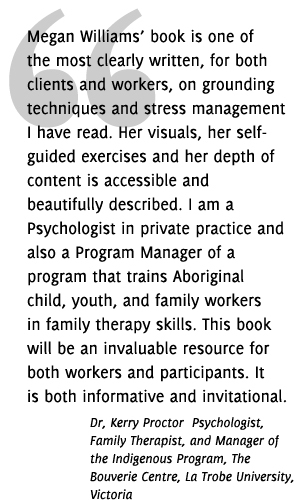 Everyday Blessings: The Inner work of Mindful Parenting (co-authored with Myla Kabat-Zinn). 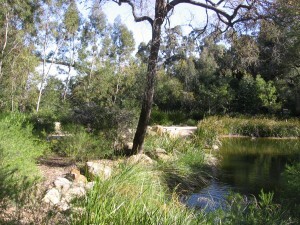 www.arcvic.org.au The website of the Anxiety Recovery Centre in Victoria (Australia) which lists their Mindfulness workshops. www.umassmed.edu/cfm/index.aspx This is the website for the Centre for Mindfulness in Medicine, Healthcare and Society which was founded by Dr Kabat-Zinn in 1995. You can take a course in Mindfulness Based Stress Reduction online. 2 Responses to Mindfulness: What’s the Point?